I’ll be back next week with more online marketing news! Have something to share? Drop it in a comment or tweet to @Tiffani_Allen or @toprank. The post Online Marketing News: Bird’s Eye View, FTC Skepticism and Facebook for Business appeared first on Online Marketing Blog – TopRank®. Then it hit me: My smartphone can show moving pictures and auto-updated news, and it doesn’t have to be delivered by owl. AND it’s a lot more compact than the average Daily Prophet issue. Sure, we can’t play proper Quidditch yet-someone get Elon Musk on flying broomstick development-but as far as interactive content goes, Muggles have got it on lock. The point is, content can do a lot more these days than sit on a screen and look pretty. Are your content marketing efforts taking advantage of that fact? Do you invite your readers to participate in an experience? Or are they left doing this? There are dozens of ways both subtle and flashy that you can add an extra kick to your content. Here are five to get you started, complete with examples to interact with. Say you have a big set of data that relates to 12 different verticals within your target audience. You could make a dozen different infographics. You could write a dozen different blog posts. If you were feeling really sadistic, you could mash all the data into one content source and let each vertical search for the relevant info. Or you could start with a template, let the user pick which data sources they’d like to see, and watch the most relevant info magically fill in. That’s what LinkedIn did, with the help of the wizards at Ceros, for their Where to Find Talent in the United States infographic. 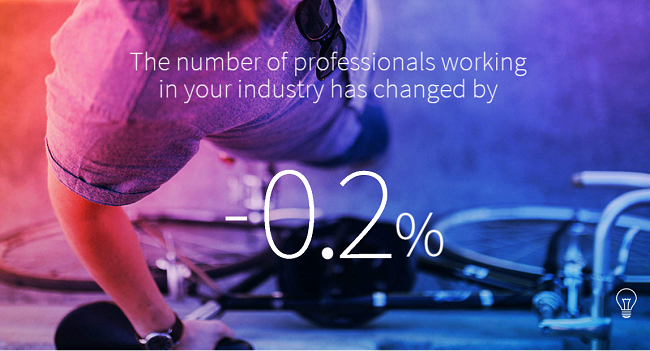 Pick your industry at the top, and it fills in the template with customized data. Numbers fly in as you scroll down, delivering exactly the information you were looking for like a Hogwarts owl on a mission. It’s a neat way to make sure each viewer finds exactly what they’re looking for. Checklists are a go-to content type that content marketers use to add a little extra value. It gives your reader a condensed version of your content, all action items, no filler. Readers tend to enjoy checklists, too-they perform well as a gated asset or as a stand-alone. But you can improve on the humble checklist by making it interactive. Let your audience pick the most relevant points and compile their own list automatically, as in this interactive infographic from Cross Country Home. 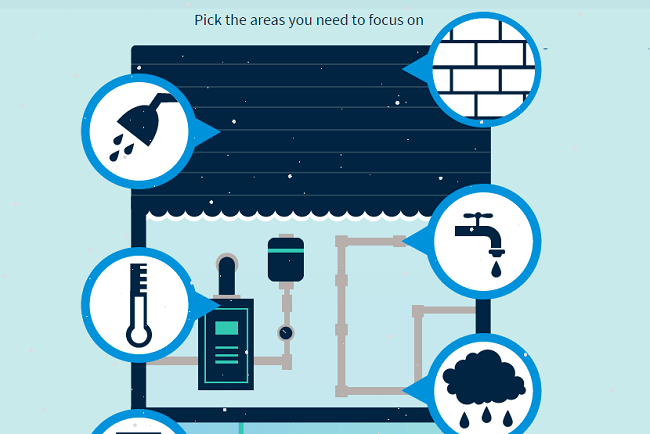 SnapApp helped the home maintenance company create the infographic, which allows the reader to choose areas of particular concern, then generate a customized to-do list (after ponying up an email address). The interactivity makes the checklist far more valuable for the reader, and justifies having the end report gated. It also introduces an element of discovery with clicking on each icon-which might lead to readers spending more time with the content. Let’s face it-we love looking at ourselves, talking about ourselves, taking pictures of ourselves, and learning about ourselves. Don’t chalk that up to millennial narcissism either. Some of the earliest photographs we have are self-portraits (not to mention all the old-school self-portraits from painters and sculptors). You can capitalize on the joy of self-discovery with quiz-based content. From personality quizzes to identifying your Patronus, quizzes are irresistible. 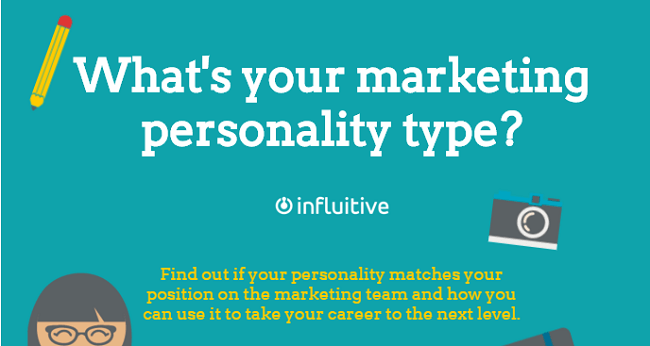 Especially so when they’re about something that matters, like Influitive’s “What’s Your Marketing Personality Type?” quiz. This quiz gets bonus cool points for not making you click to a new page for every question. SnapApp created a single, linear-scrolling experience that removes obstacles for completion. Take note of how Influitive presents the results: There’s your marketing type, a description, and then a brief paragraph on skills your type might need to further develop. Right under that-an eBook offer! What a perfectly logical next step. This next example takes what could have been a blog post or a slideshow, and makes it something that’s a lot more fun to play around with. Even if the information is familiar, or common knowledge, a novel presentation can make it worth a second look. Designhill created this interactive guide to famous company logos. It presents itself as a seemingly infinite grid, with logos lined up in rows just waiting to be clicked so they can reveal their secrets. As you scroll and explore, you’ll notice some of the tiles are calls to action: Create a Logo, Get a New Graphic Design, etc. These CTAs are inobtrusive but designed to be spotted after you’ve had fun playing with the content. And if you happen to miss them, there’s a CTA in each of the info pages that pop up when you click a tile. No one’s product exists in a vacuum. Unless you sell vacuum bags, and even if you do, that’s not what I meant and you know it. Your target consumer has an entire life outside of their relationship with your product-and many aspects of that life also involve interaction with other products. Interactive content can help you address the larger context of your audience’s lives. 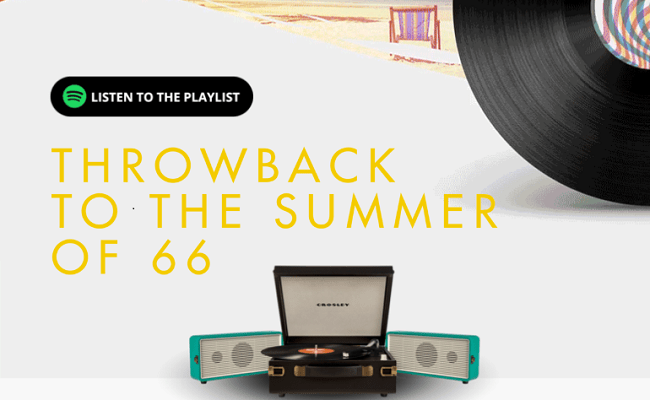 This fantastic Summer of ’66 widget from Asos is a prime example of that kind of synergy-not the bad, buzzword-y kind, but a genuine combination of separate elements to make something groovier than the sum of its parts. Pick your 60’s style, and get music recommendations you can buy on Amazon or iTunes, clothes from Asos, and a Spotify playlist to stream immediately. It’s a triumph of great design, effortless cool, and actual utility, inviting readers to customize an entire experience, not just a look or a sound. I’m just sad the sweepstakes to win that turntable is over. In this age of wonders, we don’t have to stick to old Muggle methods of content marketing. Text will always have its place, of course. There’s no substitute for good old-fashioned long-form content. But your audience will appreciate it if you conjure up interactive experiences that enhance your quality content. What else can interactive content do? What has your team created that dazzled your audience? Let me know in the comments. 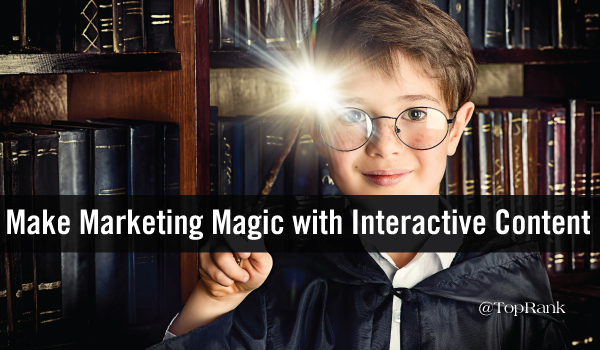 The post 5 Cool Ways to Make Marketing Magic with Interactive Content appeared first on Online Marketing Blog – TopRank®. But as social networks and audiences continue to evolve-and marketers find themselves juggling more social networks and content responsibilities each day-staying on top of it all can be daunting and even frustrating. In fact, B2B marketers use an average of 6 social media platforms to distribute content, according to the Content Marketing Institute and MarketProfs 2016 B2B Content Marketing Benchmarks, Budgets and Trends-North America report. Well, the good news is that there are a number of tools that can help you manage your Twitter account, as well as make it easy for you to share, interact and grow your following-and even mine for new content ideas and gain a better understand the impact of your content-so you can make all your effort count. Whether you want to boost visual content, host a Twitter chat or find relevant followers, below we dive into some of the tools that are worth your consideration if you want to get the most out of your Twitter efforts. 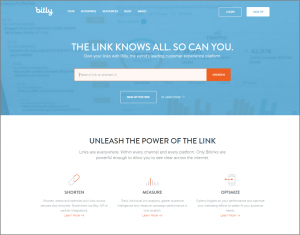 Bit.ly has long been known as a tool for shortening links, but that’s certainly not its only capability. By signing up for a free account, you can also use the tool to share links to multiple Twitter (and Facebook) accounts and individually track performance of those links-allowing you to quickly share content and get insight into how your audience interacts with that content. In addition, with an enterprise account you can create a branded short domain and get deeper audience analytics. You can post directly to Twitter and other social media pages within the platform. You can schedule out posts, making it easy to post consistently. You can monitor all your feeds, allowing you to instantly interact with those you follow and your own followers. You can track the conversations around specific hashtags or keywords by setting up an individual stream. With a free account, you can also get access to some basic analytics, content suggestions and the ability to integrate two RSS feeds so you can easily share relevant content from your own blog or other trusted sources. 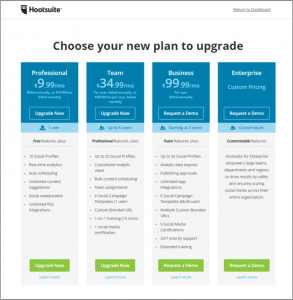 Hootsuite also offers Professional, Team, Business and Enterprise plans that allow you to customize the tool for your own unique needs. When it comes to hot content, BuzzSumo allows you to instantly search and discover the most shared content within the last day, week, month, six months or year. In addition, you’ll see data for the engagement and shares that content has received across social networks, and the number of linking domains. To find relevant influencers, the tool allows you to search by username or topic. Some of the insights you’ll find are page authority, domain authority, number of followers, retweet ratio, reply ratio and the average number of retweets. With Keyhole you can track hashtags, mentions, keywords, URLs and Twitter accounts in real-time, which can be especially useful for keeping track of the conversation and engagement happening around your company or brand-or even your top competitors. Below is a sample of the tracking information you’d see for #digitalmarketing. You can see that the data includes the top posts, related topics, recent users, the most influential users, and some analytics. While Keyhole isn’t free, it offers several different size plans from professional to enterprise-and there’s a free trial option. These days, it’s pretty safe to say that all marketers understand that video is an increasingly important marketing tool for capturing audience attention, showing value and encouraging engagement across the digital universe. Using Twitter’s Periscope app, you can natively share live video that is a little more raw and authentic, giving your audience something more visual and compelling to interact with. Buffer is another fantastic social media management tool that allows you to consistently schedule tweets and other social posts. But one of the big advantages of this tool is that it shares your content at the best possible times throughout the day to maximize exposure. 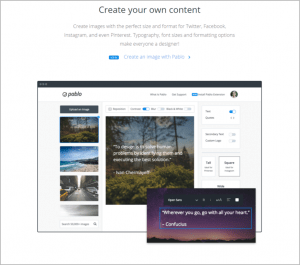 In addition, Buffer recently added video sharing capabilities, as well as Pablo, which allows you to create beautiful and perfectly sized images. Crowdfire was originally built to be the answer to the frequently asked question: “Who unfollowed me on Twitter?” But now the tool has “matured into a holistic friend management platform,” according to its website. 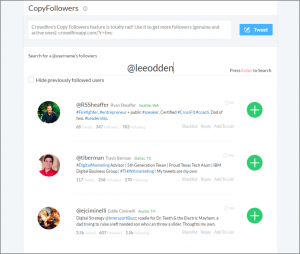 The “Copy Followers” is one of the most interesting Crowdfire features, allowing you to search similar users’ followings and “copy them” to the list of people you’re following. The idea here is that they’ll want to follow you, too, since they’re already following someone similar to you or your brand. 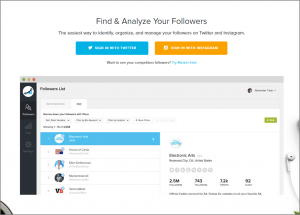 Crowdfire also gives you the ability to see who you’re following that is inactive and makes it easy for your to unfollow them. You can also keep track of how the content and updates you share actually affects your follow and unfollow stats. This information can give you a good idea of what types of updates are turning people off and enticing them to follow. 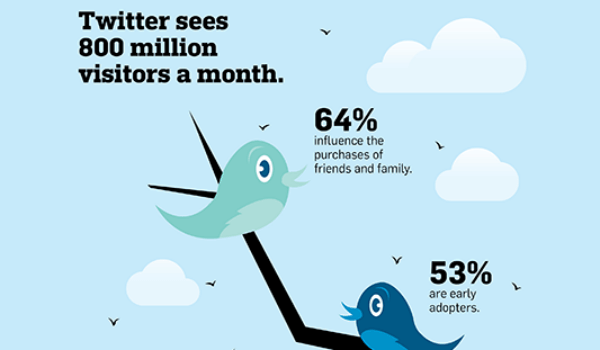 Over the past couple years, Twitter chats have emerged as a marketing tactic that allows brands and marketers to connect with their audience, build awareness and showcase what they have to offer. Twubs is a tool that allows you to find and follow relevant Twitter chats, or even host your own. Other tools that can help you manage a Twitter chat include: TweetChat.com, Tchat.io, Twitterfall and TwChat. SocialRank is a tool that can help you better understand and analyze who your most engaged or most influential followers, helping you identify and track important people who you should be engaging with. The basic account is totally free and gives you the ability to filter and sort your followers, view their full profiles and connect multiple social accounts. There are also Premium and Market Intel versions that offer a host of other features and benefits such as the ability to send a direct message to multiple recipients. 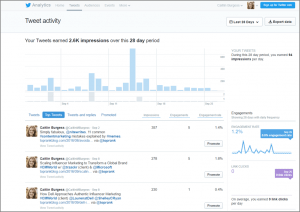 The native analytics dashboard within Twitter is a must-use. It’s free, simple and already built into the platform-you just have to turn it on. 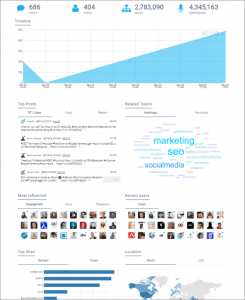 The dashboard features detailed overview of all your activity for the past 28 days, including your top tweets, top mentions and top followers. What is your favorite Twitter tool and why? Share it with us in the comments section below. 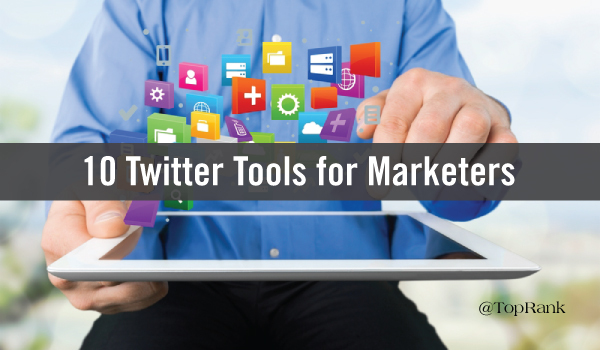 The post 10 Tools to Help Marketers Get More Out of Twitter appeared first on Online Marketing Blog – TopRank®. It turns out, there’s something about watching an event unfold live that’s hard to replicate. To be there as it’s happening, in the moment with a group of friends and strangers, sharing a singular experience. It’s powerful. And it never really went out of style-it just took a while for technology to create a compelling modern version. Facebook Live has realized the potential for live video combined with a social network. Not only are people watching in droves, they’re more engaged: People spend three times longer watching live video than they watch recorded versions after-the-fact. As with any new channel, it’s always tempting to jump right in and start creating content. And, as always, it’s a better idea to do some evaluating and strategizing first. Here’s the low-down on Facebook Live: What it is, what it’s for, and how brands are using it. A native live-streaming service embedded in Facebook. When you go Live, the stream will show in your follower’s feeds and on your profile page. Viewers can leave likes and comments in real time. After the event is over, viewers can watch a recorded version with the option of seeing the comment stream as if it were live. Everyone from the President to celebrities to athletes. Right now, the easiest way to go Live is from a mobile device. On the Facebook app for iOS or Android, you’ll see a “Live” button right at the top of the feed. Click that for a quick set up and your feed will begin! There is a version of Live for desktops which is slowly being rolled out-if you don’t have it yet, the mobile version is the only game in town. What Pitfalls Should I Look Out For? Since it’s so easy to go Live, a lot of Live streams right now look the same. They’re talking heads, people holding up a phone and chatting informally with the viewer. If you’re a celebrity with a quick wit, go for it-otherwise, don’t go in without a plan. It’s an unpredictable platform-you may have to contend with technical issues and an unmoderated comment stream at the same time. It’s a good idea to have at least one person off-camera who can handle the comment stream and work out any glitches. Finally, don’t expect your entire audience to tune in all at once. Generally viewers drop in and out of live streams-some will arrive late and some will leave early. So a complex narrative that builds on prior knowledge is not the best choice. Q: What Kind of Content Works Best? Behind the Scenes: Dunkin’ Donuts took their followers on a tour of “Dunkin’ Brands University,” a facility where Dunkin’ creates new products. At the end of the tour, audiences got a tutorial on how to make a Dunkin’ Donuts wedding cake. The tour scored just over 30,000 views.The informal, intimate nature of the platform is ideal for these sneak peeks behind the scenes. If your brand doesn’t have a factory to tour, consider a tour of the office space itself-promote transparency and your corporate culture by showing off work spaces and interviewing co-workers. Tips and How-tos: Benefit Cosmetics hosts a weekly show called Tipsy Tricks. A host and guests drink wine, gossip, and offer makeup tips. They respond to viewer comments, and generally offer a mix of practical advice and entertaining banter.Facebook Live works well for how-tos and demos, provided there’s an angle to keep it interesting for the audience. As you prep a how-to, keep an eye out for dead spots in the process that your host will need to fill. Performances: If your brand can swing it, musical or dance performances are a great way to pull in top-of-funnel audiences. Postmodern Jukebox is my favorite for performance video-they livestream parts of every concert they put on, often capturing behind-the-scenes content as well as the concert. But you don’t have to play at that level to stream a performance. Buzzfeed’s interactive dance-off was compelling to viewers because it was an amateur, interactive event. Granted, the one thing it lacked was an element of utility. But it was undeniably compelling. Add some value for your viewer while checking off the same boxes this video did, and you’ll be unstoppable. Livestreaming video is still in its infancy. Marketers are still experimenting with the form, with mixed results. One thing’s for sure: As with any channel, it’s all about relevancy, authenticity, and providing something of value to your audience. Put their needs first, and you can develop a strategy for success. 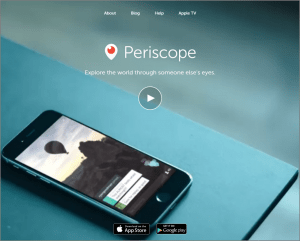 Does your brand plan to jump into livestreaming? Are you already enjoying success with the platform? Let me know in the comments. 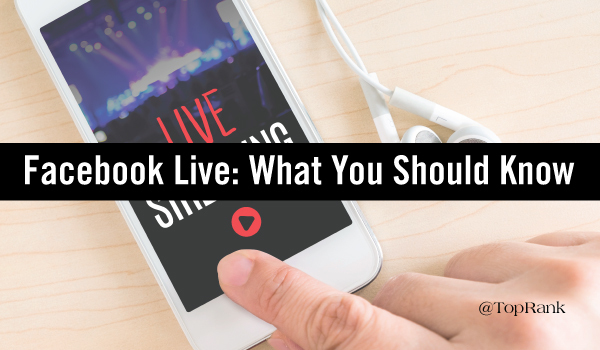 The post What Social Media Marketers Need to Know About Facebook Live appeared first on Online Marketing Blog – TopRank®. That shift is toward inbound marketing tactics such as blogging, eBooks, whitepapers, social media marketing and dozens of other content marketing tactics-a way of effective marketing that TopRank Marketing is all about. And the growth and importance of inbound marketing is only going to grow, according to HubSpot. 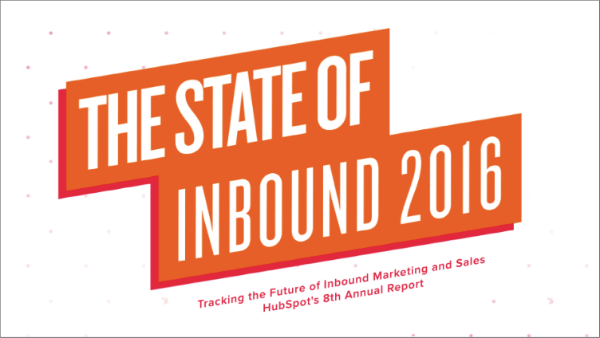 HubSpot-whose CEO Brian Halligan coined the term “inbound marketing”-recently released its eighth annual State of Inbound report, digging into where the “inbound movement” is and where it’s headed. They surveyed more than 4,500 marketing and sales folks from B2B and B2C backgrounds at small- and mid-sized businesses to uncover their challenges, priorities and strategies for the future. What does this mean for marketers? It means that creating quality and informative content not only helps your target audience learn, but it also grows brand awareness-which can help drive more informed leads to your sales team. At a minimum your website should have Google Analytics-or your preferred analytics tool-installed and tracking. The data collected will help you understand how people are coming to your site and how they’re interacting with your content. In addition, utilize the insights and analytics dashboards on your social pages to gain more insights. Humans are incredibly visual creatures. In fact, research shows that 90% of the information that comes to our brains is visual. So it’s really no surprise that visual content is proving to be more popular and engaging with our audiences-and marketers plan to up their visual game in the coming year. With that said, if you’re unsure-feel free to experiment a little bit. But make sure you’re tracking your efforts and results so you can see if it’s a worthwhile investment. The post 5 Awesome Takeaways from HubSpot’s State of Inbound 2016 Report appeared first on Online Marketing Blog – TopRank®. I’ll be back next week with more online marketing news. Can’t wait a whole week? Follow @toprank to get your news fix early. 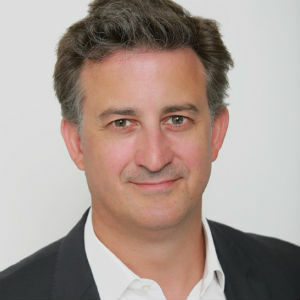 The post Online Marketing News: Emotional Connections, Twitter Goes Long & Better Ad Coalition appeared first on Online Marketing Blog – TopRank®. Speaking of conferences, if you really want to get the most out of attending an industry conference, I highly recommend this advice. Learning and networking are only two of the top 5 ways to realize ROI from conference expenses, so it’s worth checking out that post to find out what the other 3 are. This is the biggest Baltic Social Media and Digital Marketing Conference and the event will be my first time in Latvia. The best part is that my longtime pal Rebecca Lieb will be presenting as well as giving a workshop, “The New Marketing Equation”. One of the most popular trends in marketing is content marketing, but many companies are challenged to create a variety of engaging content on a consistent basis. This presentation will provide a framework for digital marketers to scale quality content creation by partnering with internal and external influencers. Challenged by information overload, increasing use of ad blocking and limited resources, successful content marketers are partnering with industry influencers to co-create a variety of meaningful content that reaches more relevant audiences with greater credibility. This workshop provides a 6 step influencer content framework ranging from planning to measurement and 3 essential use case scenarios for integrating influencers with brand content marketing programs. This is one of my all-time favorite B2B marketing conferences. You know when you’re at an event and there is so much resonance with the people, presentations and overall vibe that you find yourself thinking, “These are my people!” That’s MPB2B. I’m looking forward to seeing amazing speakers like Ann Handley and Andrew Davis as well as spending time with our clients like Jason Miller of LinkedIn, Pierre-Loic Assayag of Traackr, Carlos Gil from BMC Software, Amy Higgins from ZOZI and a few more new clients we haven’t announced yet. The art and science of romancing B2B industry influencers to collaborate, co-create and advocate content using leading influencer marketing tools. This session is for B2B marketers that want to understand how romancing influencers can help scale quality content that is credible, trusted and amplified by contributors to their networks. From establishing an influencer recruiting strategy and outreach to content collection and repurposing to ongoing influencer relationship management and metrics, this session will highlight processes and tools for a successful influencer marketing program. I only do a few webinars a year and when MarketingProfs asked me to do this one right after the B2B Forum, how could I say no? Plus Allison Dowd is a pleasure to work with. Studies from CMI and MarketingProfs report marketers are challenged to create a variety of engaging content on a consistent basis. At the same time, the rise of ad blocking technology and buyer distrust of brand communications has created significant challenges. How can marketers scale quality content creation while increasing reach and engagement? Influencer content programs tap voices in the industry that buyers trust and aligns with brands to deliver on both thought leadership and customer acquisition goals. While there are many opinions and approaches to influencer marketing, there are three proven approaches B2B marketers can take to satisfy buyers across the sales experience. 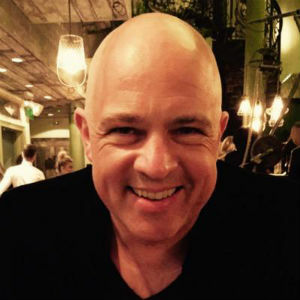 My longtime search marketing pal Massimo Burgio reached out about this event that, thanks to some generous sponsorship from the likes of Microsoft, was able to fly at least one or more Americans over including Avinash Kaushik and Adam Singer from Google. 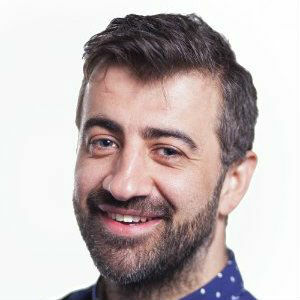 Adam is TopRank Marketing alumni and it is impressive how well he’s done as an Analytics Advocate at Google. With billions of internet connected devices, today’s customers can find information just about anywhere, anytime, driving more companies to invest in content marketing. The problem is, consumers are overloaded with information and increasingly numb to brand content. Through best practices and examples, this presentation will illustrate role of content marketing integrated with search, social and influence, so that brands can become the best answer for their customers, without spending the biggest budget. This event has a famous “in the round” stage and I’ve always found the Dutch to be a smart and welcoming audience. While I’m in the area, hopefully I’ll get to see Cor Hospes, Tristan Lavender, Bas van den Beld, or AJ Huisman. Much of content marketing is campaign driven, fragmented and not trusted by audiences. 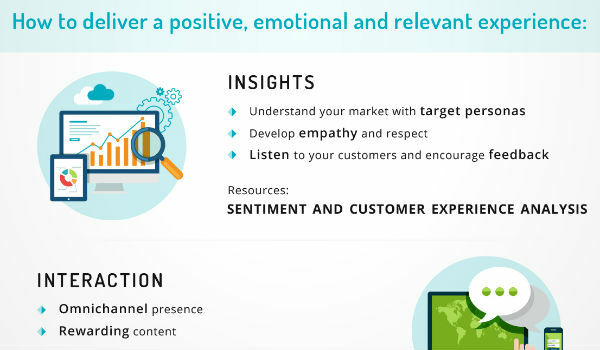 A customer centric approach to content co-created with influencers empathizes with the buyer journey from discovery to engagement to action and positions the brand in a credible way as “the best answer” where and when buyers are looking. But what does a Best Answer strategy look like and where should senior content marketing executives start? 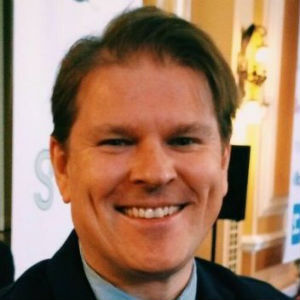 This keynote presentation will provide 4 essential steps for an integrated approach to content that is co-created with influencers, optimized, socialized and publicized in a way that makes brand content more relevant, credible, easy to find and actionable. If you will be attending these events in Europe, in Boston or Online, be sure to say hello. I hope to see you there! My 2017 speaking slots are going fast with 6 events scheduled between January and April. If you think I would be a good fit for a conference or workshop you have planned in 2017, please let me know. 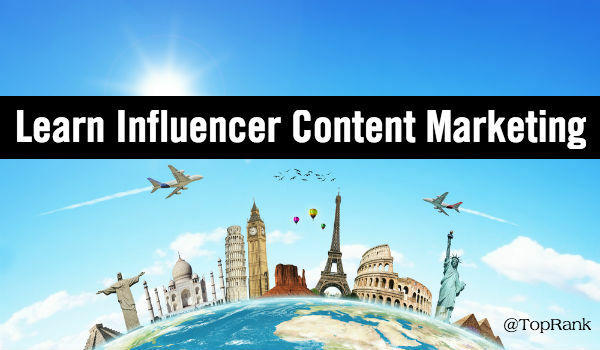 The post Where to Learn About Influencer Content Marketing in Europe & the U.S. appeared first on Online Marketing Blog – TopRank®. 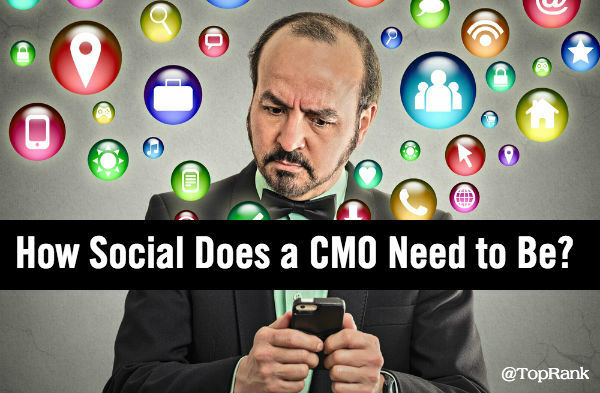 The post How Social Do Senior Marketing Executives Need To Be? 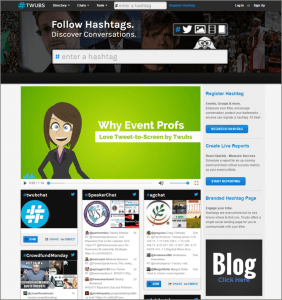 appeared first on Online Marketing Blog – TopRank®. From the rise of Snapchat to the debut of Instagram stories to changes in Facebook’s News Feed algorithm, the social media landscape is constantly changing-giving us marketers more than enough “new” to snack on each week. But sometimes we bite off a little more than we can chew, thinking that a healthy social media strategy needs to incorporate a little bit of everything in order to drive growth and engagement-and ultimately ROI. The key is to create a strategy that balances your unique business goals and your audience’s needs-sort of like crafting a healthy diet. I’m not talking about a temporary restriction plan that promises 50 lbs of weight loss by eating three cookies a day. I’m talking about habitual nourishment–something that doesn’t involve quick fixes, but rather getting back to the good stuff that helps you survive and thrive. With all that said, below we show you how to put your social media strategy on a paleo diet, cutting out the things that lack nourishment and adding in the building blocks of healthy growth and engagement. #1 – Create a shopping list. Anyone embarking on a paleo diet needs to make sure they have all the right ingredients to set them up for success when crafting meals. Similarly, your social media strategy needs to have the right objectives in place to guide your strategy. Whether you want to increase your number of followers, boost referral traffic to your website, foster engagement or drive more conversions, set goals that you can measure. Be aggressive, but not unrealistic. Social media is first and foremost a brand awareness tool, so make sure you’re using it for the right reasons. Set benchmark goals so you can measure the impact your efforts are having as you work toward larger goals. Put more effort behind what is working and look for ways to improve the tactics that aren’t. #2 – Prep your meals. Meal prep and planning is essential for staying on track for any diet. With the answers to these questions in hand, create a social media content plan that outlines what, when and where you’ll be posting, as well as who is responsible for engaging with followers and measuring impact. #3 – Eat the rainbow. The perfect paleo meal will include a variety of proteins, fruits and veggies to create a colorful plate combination of whole foods. When it comes to your social media strategy, using an integrated approach that’s tailored to each social platform will give your strategy the appetizing color it needs. Combine your social media strategy with your other digital and content marketing efforts to create a tactical mix that speaks to your audience. Some tactics that you could include are influencer content, video and live chats. As mentioned in the intro, you don’t need to use every single marketing tactic nor be on every single social media platform. Choose what works for your business and helps you make meaningful connections with your audience. #4 – Listen to your body. We’ve all made a quick trip through a drive thru to satisfy hunger or cravings. The naughty stuff just tastes so good. But soon after our bodies will often tell us we’re missing something-whether that be through hunger pangs an hour later, restless sleep or low energy. When it comes to social media strategy, your audience is your body. If you want to find success, you need to be listening to what they’re telling you. Start by taking a peek at your engagement metrics to see what kind of content is resonating with them most. This will help you work that type of content into your plan. In addition, consider asking them questions to foster engagement. One of the best ways to find out what your audience is thinking is to simply ask. #5 – Cut the cheese. For most paleo enthusiasts, dairy is a no-no. One reason is that lactose, which is an element found in milk and cheese, doesn’t sit well with many people. So when it comes to your social media strategy, cut the cheese. Don’t leave your audience with an uneasy feeling by sharing things that stink. Be creative and engaging. #6 – Stop counting calories. You can certainly count calories all day long, but if your body isn’t getting the nutrients it needs, your progress will slow and frustration will set in. When it comes to your social efforts, make sure you’re tracking and measuring the right metrics. Go beyond high-level metrics. Dive deeper into the data to see how people are actually interacting with your social content. For example, don’t just look at overall social referral traffic to gauge success. Use Google Analytics or your preferred analytics tool to uncover how much referral traffic each social platform is sending to your website, top page, time on page and average number of pages visited, and conversions. This will lend more context to the traffic you’re receiving and help you draw conclusions about whether your not your efforts are driving the results you’re looking for. This one’s a no-brainer. If you want the best results-for your body or your social strategy-you can’t cut corners. Use the strategy and the content plan you’ve created to hold you and your team accountable from development to implementation to data analysis to fine-tuning–and beyond. Set up a standing meeting–whether that be daily, weekly or monthly–where the entire team comes together to look at progress and brainstorm ideas to keep your strategy on track. What changes have you recently made to your social media strategy’s diet? What’s working and what isn’t? Tell us in the comments section below. 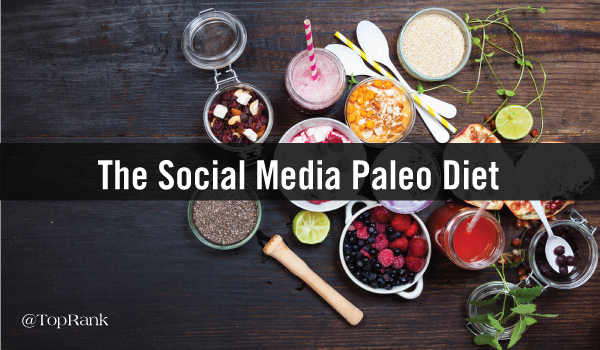 The post A Fresh Start: Learn How to Put Your Social Media Strategy on A Paleo Diet appeared first on Online Marketing Blog – TopRank®. 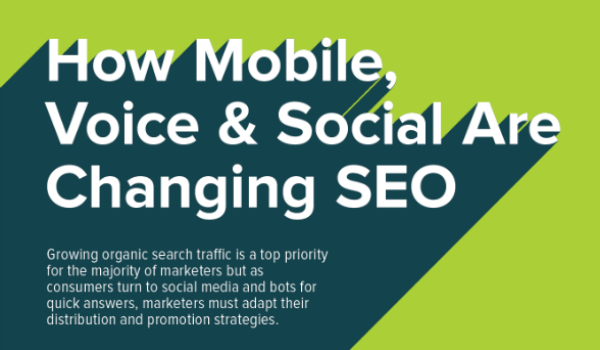 The post Online Marketing News: Social Changing SEO, Science of Content, Facebook Live on Desktop appeared first on Online Marketing Blog – TopRank®.